101 Amazing Things to Do in Switzerland: Switzerland Travel Guide (Budget Travel Switzerland, Geneva Travel, Zurich Travel, Lucerne Travel) by 101 Amazing Things. Price: Free. Genre: Travel, Europe, Switzerland. Rated: 4.6 stars on 8 Reviews. 42 pages. ASIN: B07K48RX88. Posted on November 15, 2018 Author KibetCategories Free Travel Kindle Books, TravelersLeave a comment on Kindle Travel Deals for Wednesday! *Peru Travels (Deal, Not Free) by Darren Stevens. Price: $12.99. Genre: Biographies and Memoirs Deal, Sponsor, Non Fiction, Travels in Peru, Crossing the Andes Mountains on Horseback, Swimming in Glacial Lakes and eating Guinea Pigs for Lunch. Rated: 5 stars on 1 Reviews. 150 pages. ASIN: 1784565989. Get the paperback version at $12.99 here, please. *(Free for Kindle Unlimited) Struggle, Journey, Life… (Deal, Not Free) by Ali Ahmed. Price: $4.99. Genre: Travel Memoirs Deal, Sponsor, Self Reflection, Non Fiction. Rated: 5 stars on 1 Reviews. 79 pages. ASIN: B07J2T6H6J. Get the paperback version here, please. *(Free for Kindle Unlimited) First I Was Naive: What Really Happens When You Quit Your Job and Travel the World to “Find Yourself” (Deal, Not Free) by Shyrwyn Clemente, Davidson Paulo. Price: $3.99. Genre: Biographies & Memoirs Deal, Sponsor, A True, Awe-Inspiring Story that you will not want to Stop Reading until the End. Rated: 5 stars on 1 Reviews. 292 pages. ASIN: B077XLWT8G. ISBN: 1983221996. Get the paperback version at $11.93 here, please. 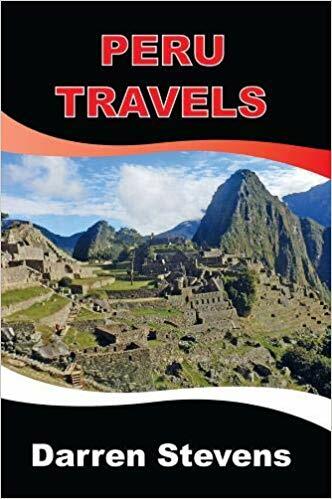 101 Amazing Things to Do in Peru: Peru Travel Guide (Lima Travel, Cusco Travel, Backpacking Peru, South America Travel Guide) by 101 Amazing Things. Price: Free. Genre: Travel. Rated: 4.8 stars on 8 Reviews. 40 pages. ASIN: B07JZ171TW. Posted on November 8, 2018 Author KibetCategories Biographies, Free Travel Kindle Books, memoir, TravelersLeave a comment on Kindle Travel Deals for Wednesday! *Peru Travels (Deal, Not Free) by Darren Stevens. Price: $12.99. Genre: Non Fiction Deal, Sponsor, Travels in Peru, Machu Picchu on Horseback, Shamans and Evictions and Crashes and Guinea Pigs. Rated: 5 stars on 1 Reviews. 150 pages. ASIN: 1784565989. Get the paperback version at $12.99 here, please. *(Free for Kindle Unlimited) First I Was Naive: What Really Happens When You Quit Your Job and Travel the World to “Find Yourself” (Deal, Not Free) by Shyrwyn Clemente, Davidson Paulo. Price: $3.99. Genre: Non Fiction Deal, Sponsor, A Breath-Taking Personal Memoir of One Naive Girl’s Struggle to Find her Purpose in Life. Rated: 5 stars on 1 Reviews. 292 pages. ASIN: B077XLWT8G. ISBN: 1983221996. Get the paperback version at $11.93 here, please. *101 Amazing Things to Do in Reykjavik: Reykjavik Travel Guide (Iceland Travel Guide, Backpacking Iceland, Budget Travel Reykjavik) by 101 Amazing Things. Price: Free. Genre: Travel. Rated: 5 stars on 5 Reviews. 41 pages. ASIN: B07K1FCXHS. 101 Amazing Things to Do in Poland: Poland Travel Guide (Warsaw Travel, Kraow Travel, East Europe Travel Guide, Backpacking Poland) by 101 Amazing Things. Price: Free. Genre: Nonfiction, Travel, Europe, Eastern Europe. Rated: 4.5 stars on 6 Reviews. 41 pages. ASIN: B07JY8PSKP. Posted on November 7, 2018 Author KibetCategories Free Travel Kindle Books, memoir, TravelersLeave a comment on 5 Awesome Free Kindle Travel Books for Tuesday! My Falkland Islands Life: One Family’s Very British Adventure by Jen Carter. Price: Free. Genre: Nonfiction, Travel, Central & South America, South America. Rated: 4.3 stars on 4 Reviews. 140 pages. ASIN: B01N1UD9A7. 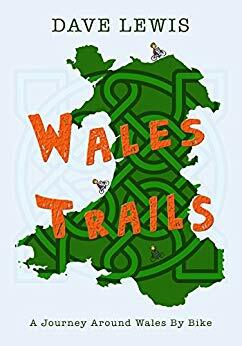 *Wales Trails: A Journey Around Wales By Bike (Deal, Not Free) by Dave Lewis, Sue Gurman, Eve Lewis, Warren Smart. Price: $0.99. Genre: Non Fiction Deal, Sponsor, Travel, A Journey around Wales by Bike. Rated: 5 stars on 1 Reviews. 245 pages. ASIN: B01M0SL4P4. *The Ultimate Common Sense Group Transportation Guide For Churches and Schools! : How To Learn Not To Crash and Burn by Craig Speck. Price: Free. Genre: Travel, Food, Lodging & Transportation, Auto & RV Travel. Rated: 5 stars on 3 Reviews. 108 pages. ASIN: B00LN9Q9WK. Chai & Chapati: My Time in the Punjab by Peter O’Neil. Price: Free. Genre: Nonfiction, Travel, Asia, India. Rated: 4.3 stars on 11 Reviews. 88 pages. ASIN: B01A9081CE. Posted on September 27, 2018 Author KibetCategories Free Travel Kindle Books, TravelersLeave a comment on Kindle Travel Deals for Wednesday! 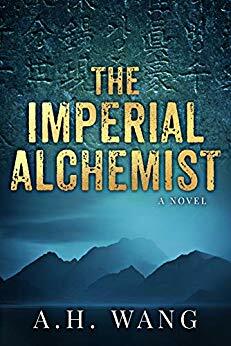 *(Free for Kindle Unlimited) The Imperial Alchemist (Deal, Not Free) by A. H. Wang. Price: $6.99. Genre: Archaeological Mystery Deal, Sponsor, Drama and Intrigue and Mystery as an Archaeologist travels through China, Australia, Japan, Taiwan searching for the mythical Elixir of Life. Rated: 4.8 stars on 15 Reviews. 331 pages. ASIN: B07H4DCGDF. Montreal and Quebec City: A Romantic Getaway Guide for Couples by Lett’s Go Travel. Price: Free. Genre: Travel. Rated: 4.1 stars on 6 Reviews. 93 pages. ASIN: B07FTYQBX9. Posted on September 26, 2018 Author KibetCategories Free Travel Kindle Books, TravelersLeave a comment on Kindle Travel Deals for Tuesday! *Secrets of RVing on a Dime and a Dream: Frugal RVing on $1,000 a Month or Less by Jerry Minchey. Price: Free. Genre: Nonfiction, Travel, Food, Lodging & Transportation, Parks & Campgrounds. Rated: 5 stars on 6 Reviews. 133 pages. ASIN: B07GL61DFM. Posted on September 1, 2018 Author KibetCategories Free Travel Kindle Books, TravelersLeave a comment on Kindle Travel Deals for Wednesday! *Trust Your Step: How a Leap of Faith Led to an Amazing Adventure by Alise M. Oliver. Price: Free. Genre: Nonfiction, Self-Help, Spiritual, Travel, Specialty Travel, Adventure. Rated: 4.7 stars on 10 Reviews. 168 pages. ASIN: B078H6G7DW. *French: Learn French For Beginners Including French Grammar, French Short Stories and 1000+ French Phrases by Language Learning University. Price: Free. Genre: Crafts, Hobbies & Home, Travel. Rated: 5 stars on 5 Reviews. 310 pages. ASIN: B07GTP5TBC. Posted on August 31, 2018 Author KibetCategories Free Travel Kindle Books, TravelersLeave a comment on Kindle Travel Deals for Tuesday! Kindle Travel Deals for Monday! *For 91 Days in Macedonia by Michael Powell. Price: Free. Genre: Nonfiction, Travel, Europe, Eastern Europe. Rated: 5 stars on 3 Reviews. 382 pages. ASIN: B010KEOYSY. Posted on August 29, 2018 Author KibetCategories Free Travel Kindle Books, TravelersLeave a comment on Kindle Travel Deals for Monday! *Lonely Planet Italy 2018: Venice points of interests( Travel Guide) by John N.Smith. Price: Free. Genre: Nonfiction, Travel, Europe, Italy. Rate 5 stars on 3 Reviews. 73 pages. ASIN: B07FLKRQDX. Canada: Cities, Sights & Other Places You Need To Visit (Canada,Vancouver,Toronto Montreal,Ottawa,Winnipeg,Calgary Book 1) by Writing Souls’ Travel Guides. Price: Free. Genre: Nonfiction, Travel, Canada, Alberta & British Columbia. Rate 4.5 stars on 9 Reviews. 51 pages. ASIN: B073ZFP4G9. Posted on August 28, 2018 Author KibetCategories Free Travel Kindle Books, TravelersLeave a comment on Kindle Travel Deals for Sunday!